Thousands of people gathered at the Human Right Memorial on Elgin Street Saturday to march in solidarity with similar demonstrations taking place in Washington and around the world. The women’s marches are a response to the Friday inauguration of President Donald Trump, whose derogatory comments have been widely documented and shared across social media. NDP MP Niki Ashton opened the Ottawa march by calling on people not to let the “Donald Trumps of the world” threaten the rights of marginalized populations. 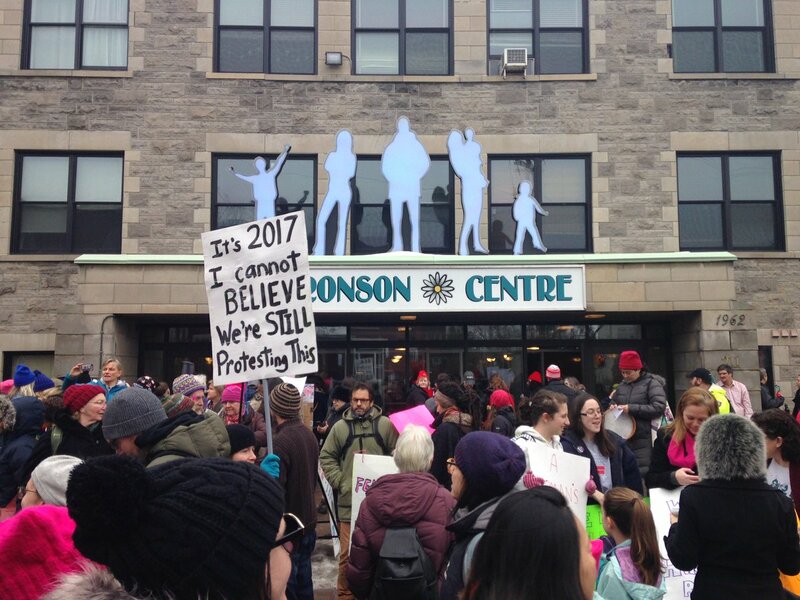 The demonstration moved west along Laurier and ended with a rally at the Bronson Centre. Click below to see the march unfold.